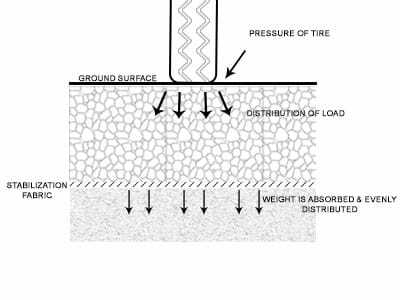 Geo-Textile Stabilization Fabric is used under all type of pavers to prevent base material from shifting and settling. It stabilizes and transfers the point load placed on the paver project to eliminate the effect of poor sub-base material. The use of this fabric is always a must in driveway installations. 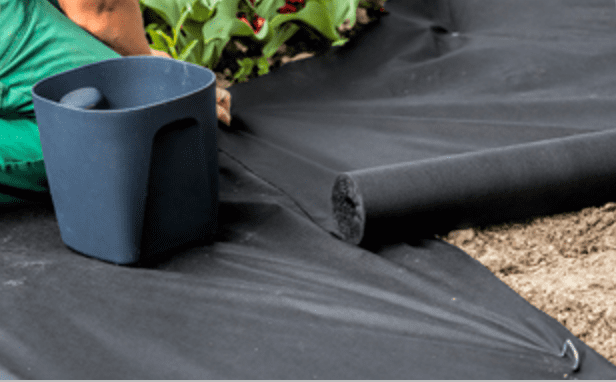 ​Landscape Fabric/Weed Block is used for weed restriction, soil separation, reinforcement and filtration. These fabrics are highly resistant to acids, alkalines, insecticides, fertilizers and damage from insects or rodents.